MAPLETON — Police are investigating what they are calling a possible murder-suicide in Mapleton after officers performing a welfare check found four people dead inside a home Thursday night. Police responded to a residence near 1500 North and state Route 89 around 9:30 p.m. because a neighbor reported family vehicles at the home had not moved, lights in the house had been off for multiple days and the residents had not been seen, according to a report from KSL citing Mapleton Police Chief John Jackson. A local employer also reported that one of the home’s residents had failed to show up to work for several days. Officers got no answer at the door, looked around the home, “observed things that caused them concern” and removed a window to enter the home, Jackson said in a news release. They found four people – a man, a woman, a teenage female and a very young male – plus a dog, dead from apparent gunshot wounds. The names of the deceased have not yet been released, pending notification of family members. 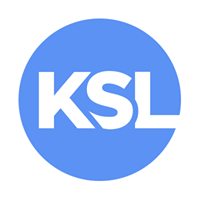 Written by LINDA WILLIAMS, KSL News.com.